← Dr. Fouad S. Albana Visits Regency Nursing! Regency Nursing Earns 5 Star Rating Again! Posted on May 29, 2013	by Judah Gutwein, L.N.H.A. 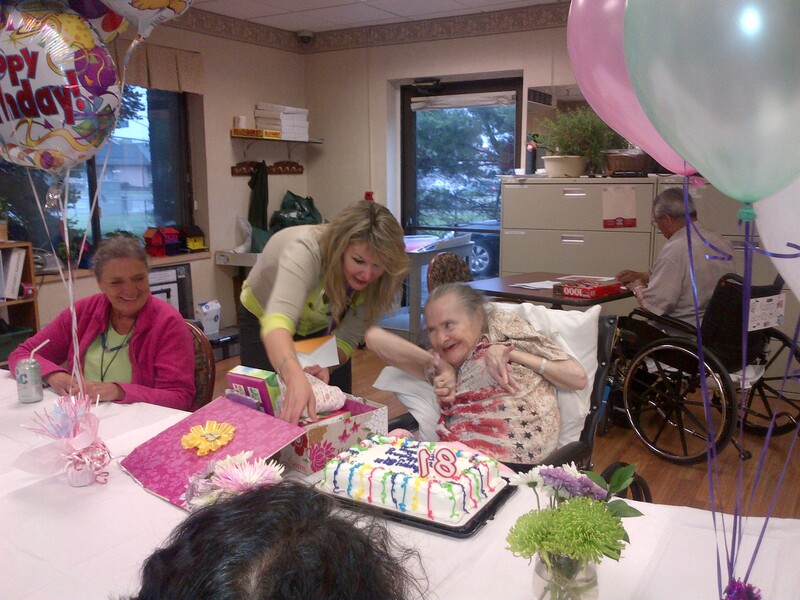 Regency Park Nursing and Rehabilitation just celebrated the birthday of our 81 year old resident, Mrs. Dorothy Rice! A great time was had by all and we made Dorothy very, very happy. In fact, we continue to make ALL of our residents and their families very, very happy! Here is a picture of a beaming Dorothy at her party! Dorothy Rice at her party! These kinds of accolades have become quite routine for all Regency Nursing Centers across New Jersey. We produce real, tangible results and the Healthcare industry is taking notice everyday. Regency Nursing Centers set the standard which others seek to follow. We have been leaders and innovators for decades. Our commitment to the wellbeing of our residents and their families is as old as our organization. We don’t play games and we spare no expense in providing our families with World Class care in the most comfortable and exquisite environments. Look us up and see for yourself! This entry was posted in HealthCare News and tagged regency nursing centers rated 5 stars. Bookmark the permalink.